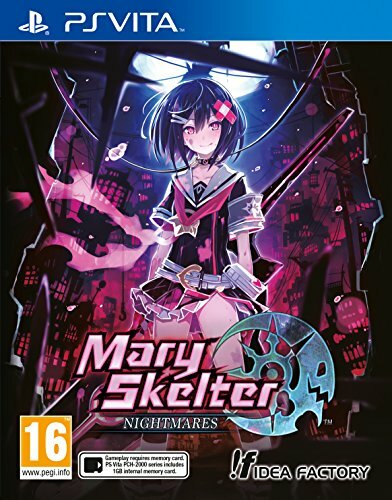 Originally released for the PlayStation Vita in 2014, Mary Skelter Nightmares received moderate critical reception from both critics and gamers. It was developed by long time JRPG makers Compile Heart, who also made the Hyperdimension Neptunia franchise and Sorcery Saga: Curse of the Great Curry God. Like many games of its genre, the dungeon crawler RPG has now received a high definition PC release via Steam. After spending several years inside a high security prison known as The Jail, Jack and Alice, two of the inmates are freed from their cells by a fellow prisoner named Red Riding Hood. Working together with their new ally, they discover Alice is a Blood Maiden, a supernatural being who gains power from the enemies they defeat. As well as trying to escape from the 666-floor complex, Alice and Red Riding Hood, also a Blood Maiden, must team up with several others of their kind to defeat the Marchens, the monsters that act as The Jail’s wardens. Unlike many JRPG dungeon crawlers, there is a level of seriousness that works in the game’s favour. This helps to further empathise the dangers presented by The Jail, and the enemies that need to be defeated. Mary Skelter Nightmares is a first-person dungeon crawling RPG, in a similar vein to Strangers of Sword City and Operation Babel: New Tokyo Legacy. Throughout the journey to escape The Jail, Jack and the other Blood Maidens will travel through various dungeon areas which are gothic styled interpretations of fairy tales and classic literature. The City Streets area has aesthetics and enemies which resemble Alice in Wonderland, whereas the Graveyard is like a Halloween version of Snow White. Each area has a unique feel, giving off a genuinely macabre vibe that is generally unseen in the JRPG medium. The enemies that you encounter are also themed around the stories, so you will be fighting twisted versions of the Cheshire Cat, the Mad Hatter and the White Rabbit on your road to obtaining freedom. Despite being an active party member, Jack is not able to attack enemies at the start, although he can act as a human shield at the cost of his own health. To compensate for this, Alice and her Blood Maiden friends are able to equip various type of weapons such as swords and knives, and learn special skills such as Invisible Slash, which can render a physical attack to all enemies present in battle. Every time you defeat an enemy, part of the spoils include Blood Crystals of various types which can help to learn new attacks, or strengthen your older skills or your currently equipped weapons or accessories. Although this seems impractical at first, it is merely for the purpose of creating tension in the narrative, as Jack eventually becomes an invaluable party member with his hidden abilities. With each attack they land, the Blood Maiden’s true power is eventually revealed. When Jack’s allies enter Massacre or Blood Skelter states, the Blood Maidens are able to perform attacks which are normally inaccessible, at the cost of dramatically reducing their defence stats. Jack is able to reverse these statuses using his battle turn, which is exceedingly helpful when two or more Blood Maidens enter their vulnerable states at the same time. One of the best features in Mary Skelter Nightmares is the way that the dungeons of The Jail are treated as sentient beings. Each Jail has three needs that need to be fulfilled and adapt and evolve depending on its emotional state. If you see to a dungeon’s basic needs of Lust, Sleep and Hunger by triggering Emotion spaces, or defeating enemies, you can earn bonuses such as expanding the number of accessible floors in a dungeon, healing allies and earning rare weapons. This mechanic gives the player a secondary objective as they wander through the dungeons defeating enemies, and the results make each trip feel like a different experience despite the lack of randomly generated floors. When you are not trying to liberate Jack and his allies from The Jail, you are able to rest in the Liberated District, which is the hub area of the game. As well as the usual shop facilities and side quests that can be obtained, you can provide gifts to your Blood Maiden allies that can be bought or found in The Jail. This functions like the usual dating mechanics that are seen in many JRPG’s, but in a slightly disappointing twist, you never actually go on a physical date scenario with any of the Blood Maidens. It doesn’t take away from the experience as a whole, but it definitely relegates your allies to the friend zone instead of building a strong bond by learning more about their personalities. Mary Skelter Nightmare’s graphical style will be very familiar to anyone who has played a Compile Heart JRPG. The visual novel cutscenes use anime style character portraits that have been given a high definition upgrade, as have the 3D models that form the dungeons inside The Jail. The soundtrack is the usual mixture of intense tracks during battle scenes, with the occasional creepy interlude themes present in some of the more difficult enemy encounters. There is both an English and Japanese dub track included in the Steam release, with both casts providing believable voices for their characters, although there were a few occasions where the quality of the dialogue recording was slightly underwhelming, particularly when it came to Jack’s English voice actor. Overall, Mary Skelter Nightmares is an enjoyable dungeon crawler RPG with some interesting dungeon mechanics and an interesting cast of locations to explore. The lack of meaningful interaction with your allies might not please some fans of the genre, but the solid gameplay more than makes up for this omission. If you are looking for something spooky to fill your time, this game could give you the fright that you have been searching for. 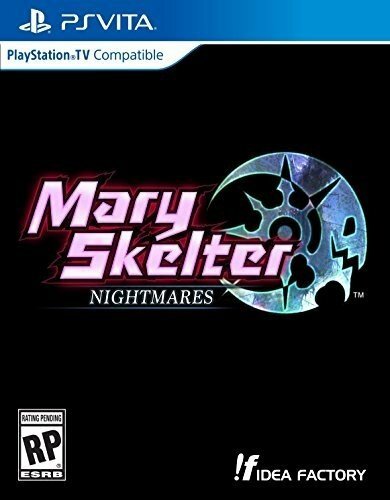 If you are looking for a creepy JRPG with plenty of interesting mechanics, Mary Skelter Nightmares could be exactly what you have been waiting for.